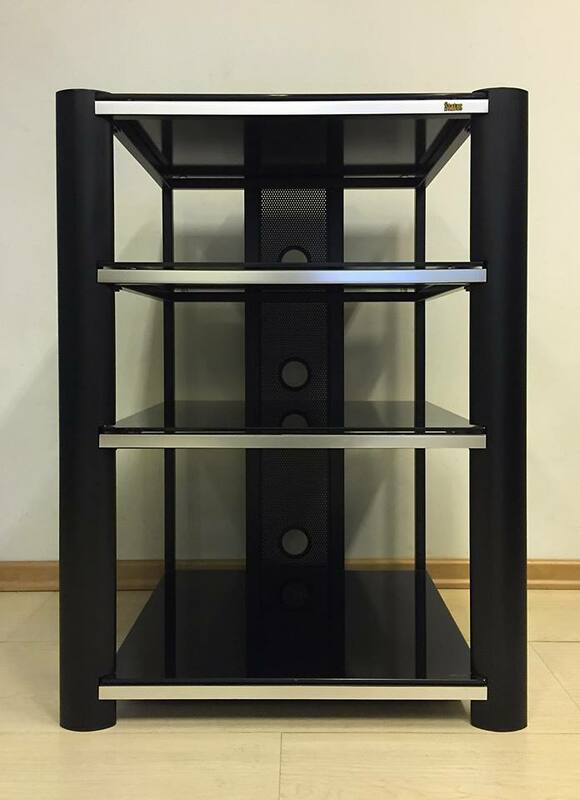 Expansively improving upon its prestigious Hyperspike technology, Solidsteel's new S3 Series audio racks provide incredible sonic performance, rock-solid stability, stellar isolation, and an elegantly modular design. The line's clean looks blend in with any aesthetic. 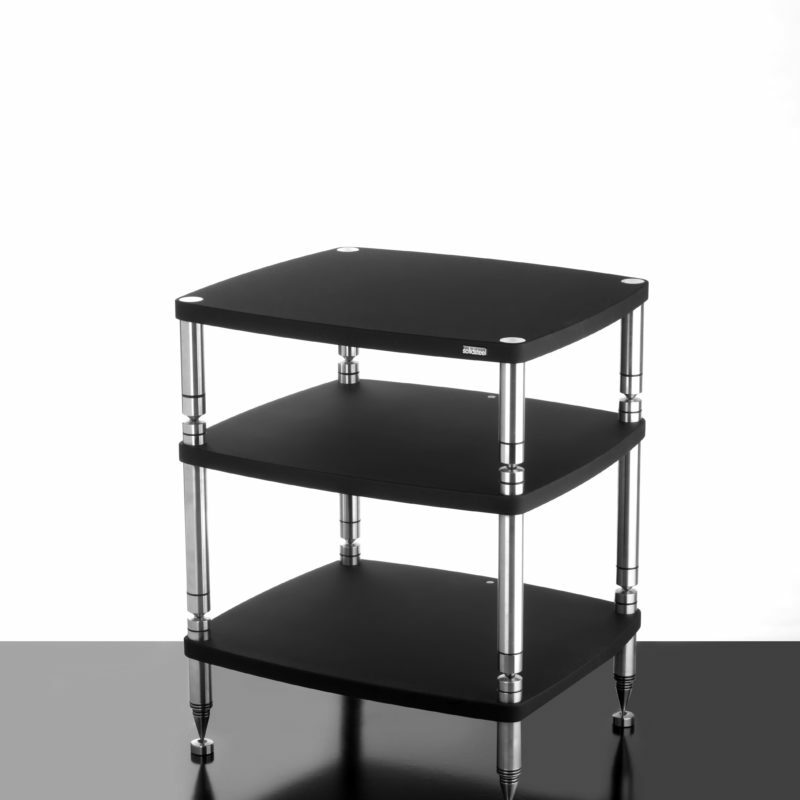 Boasting technological advancements that make for an even better-sounding and non-resonant structure, the Italian-made S3 Series take equipment racks – and your components and music – to new levels of audiophile fulfillment. 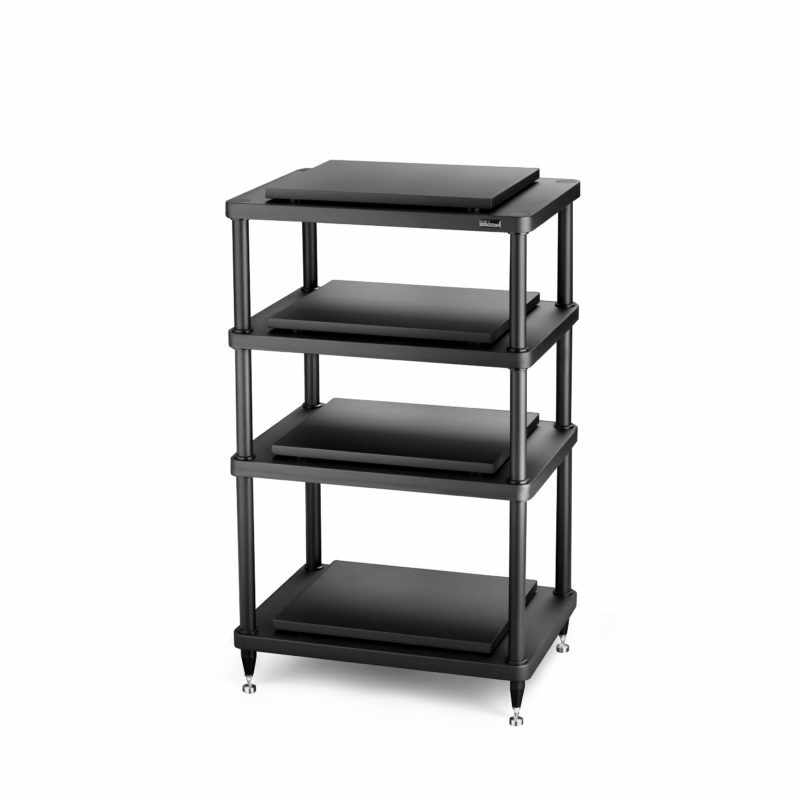 Modular Design and Solid Aluminum Poles Result in Tremendous Sonic Benefits Modular in design, S3 Series racks utilize MDF shelves and new non-welded aluminum poles. Aluminum is lighter than steel, ridiculously strong, non-magnetic, and an excellent damping material. By eliminating welding from the equation, S3 racks eliminate resonances that develop in hollow welded posts. Unwanted energy and vibrations cannot seep into your rack. 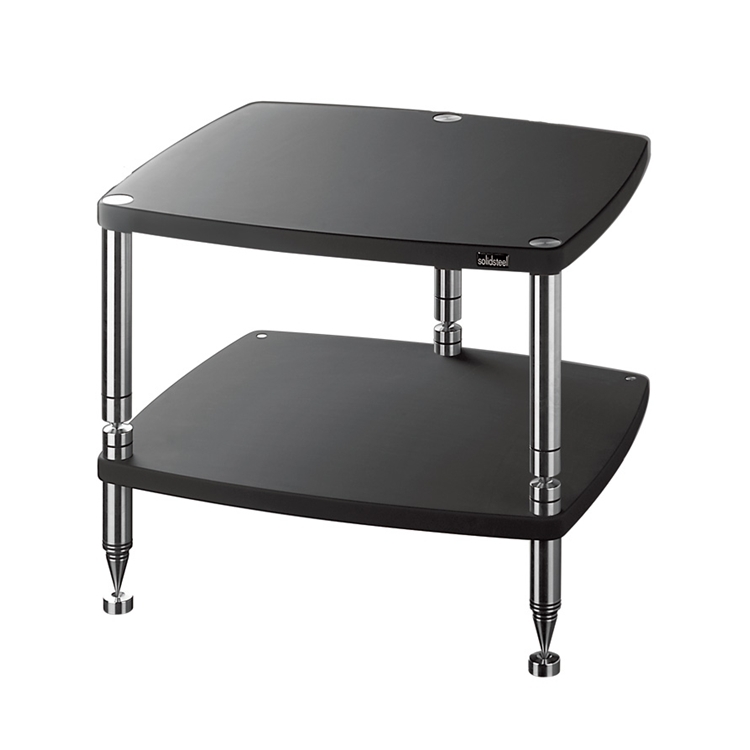 The aluminum poles also result in improved weight handling, vastly greater stability, and, since the shelves cannot resonate the poles, enhanced isolation for each component. 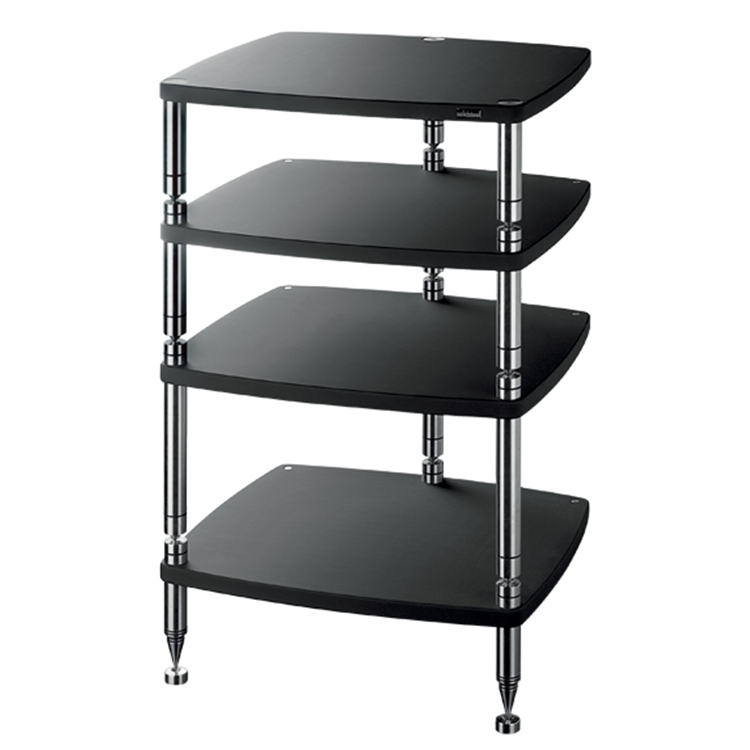 In addition, the S3 Series' massive shelf design further keep resonance to a minimum, while its modular capability means that adding or removing a shelf is very easy. S3 Series Exudes Value and Advantages That Even Extend to Initial Playback Priced like the 5 Series it replaced, the S3 Series actually performs like the elite 6 Series, which makes it an extreme value. 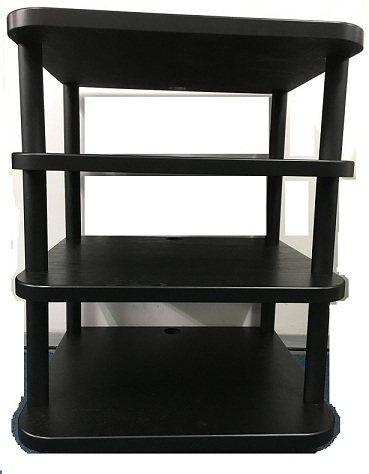 In addition, due to the solid poles and more rigid coupling of the shelves to the posts, cones aren't needed to compensate for resonances within the rack framework. Advantages of the S3 Series even extend to shipping and initial playback. The lighter, modular poles can be placed into smaller and tighter boxes, which are easier to pack and ship, and ensure your rack arrives safely. Moreover, every S3 rack sounds better out of the box. Why? Modularity means there's no longer a need to mass-load. With the S3 Series, Solidsteel has hit upon a genius design. Your components and, most importantly, your music will sound better because of it. 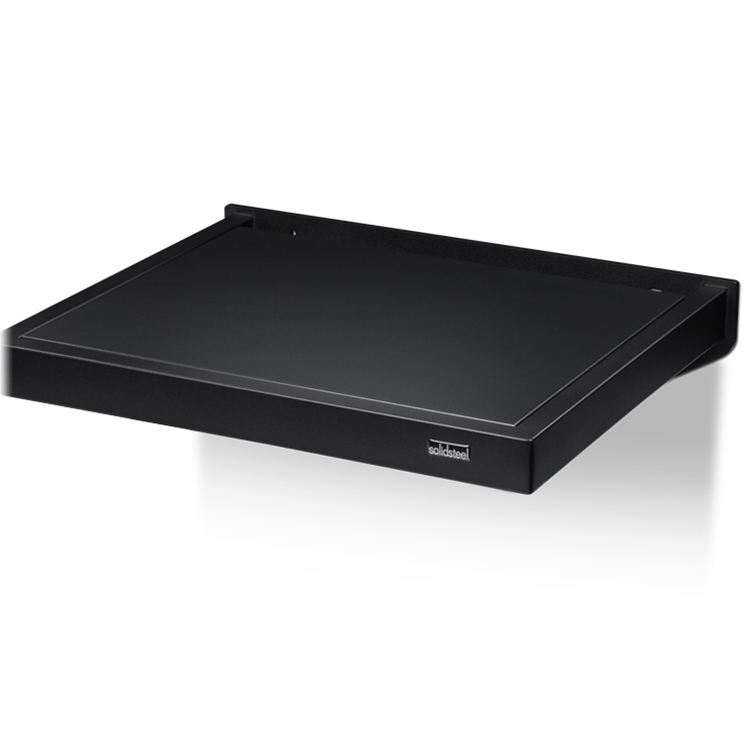 Say goodbye to vibration and distortion, and "ciao" to unstinting stability and precise imaging with the S3 Series. 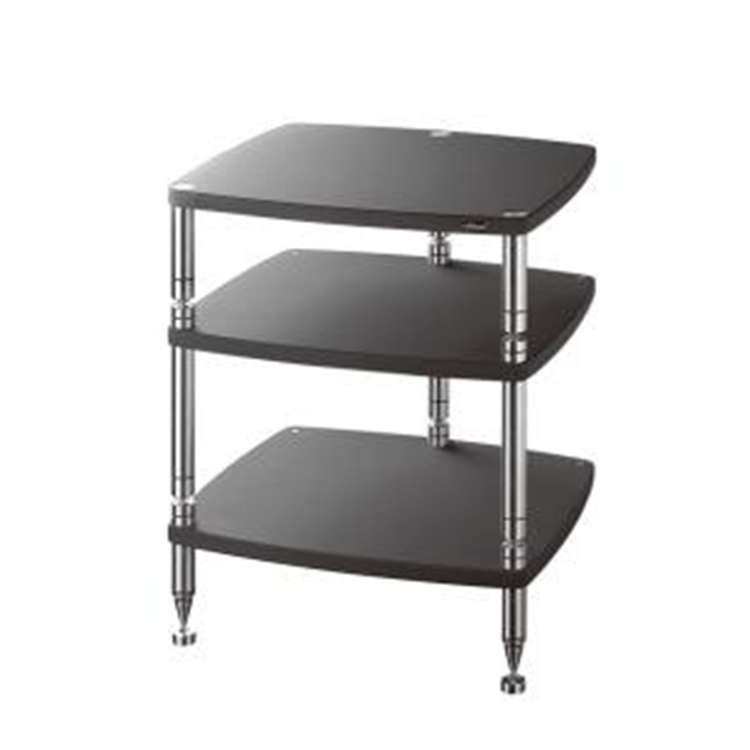 Remember: A good equipment rack is as essential as good cables, powerful amplifiers, and revealing turntables. 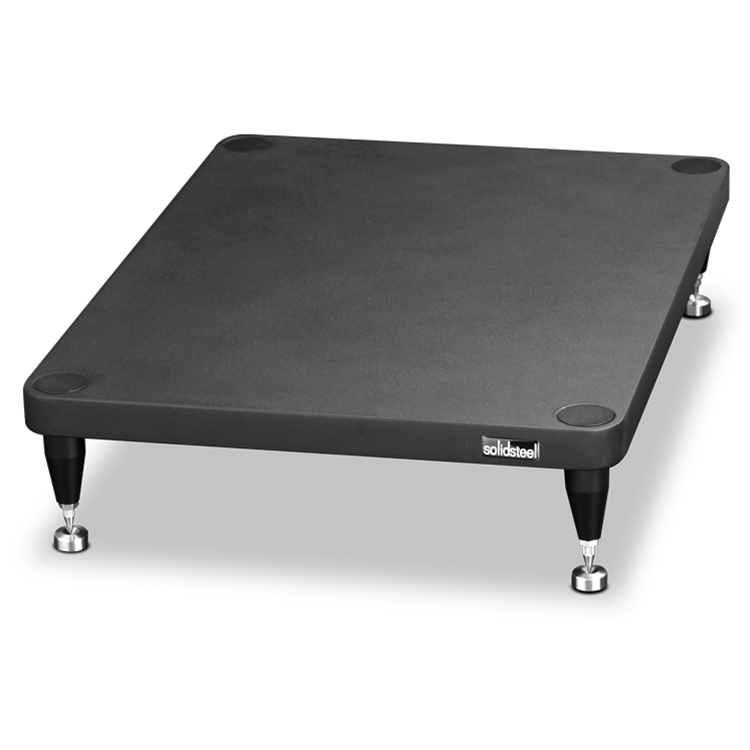 Because no matter how much you spend on your gear, you're wasting your money if it isn't resting on a support mechanism that provides terrific isolation, rock-solid stability, and vibration-free performance. 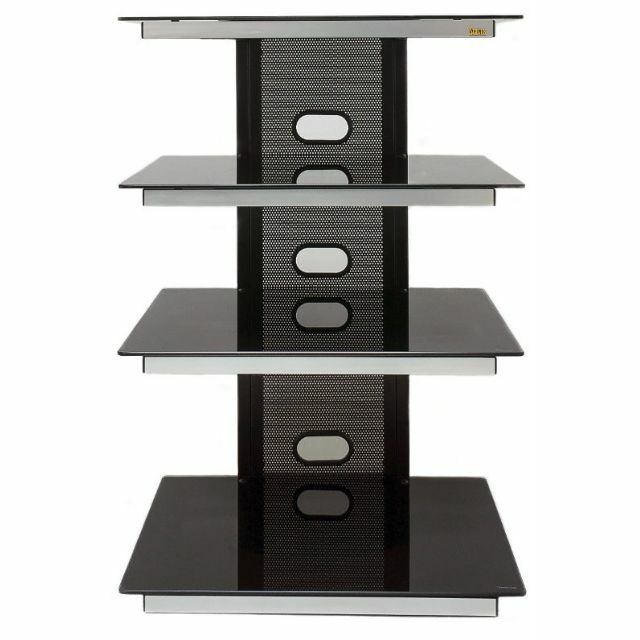 The S3 Series does all it needs to and more, and is available in 2-shelf, 3-shelf, 4-shelf, or 5-shelf configurations. Choose from the above menu or simply call a Music Direct audio consultant today to get your equipment the home it deserves. 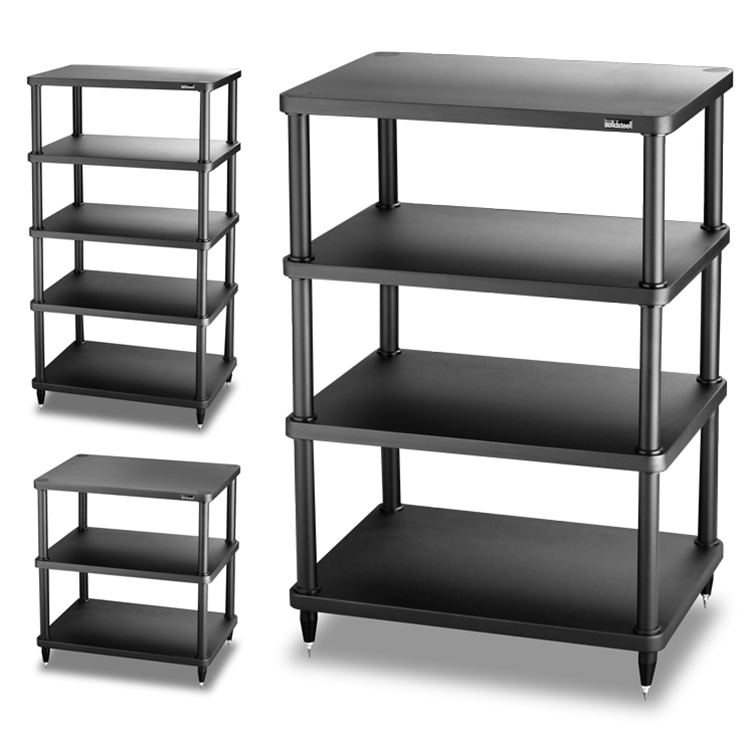 S3-2: 23.0" x 16.9" x 18.3"
Between Shelves: 19.7" x 16.9" x 12.8"
S3-3: 23.0" x 16.9" x 25.8"
Between Shelves: 19.7" x 16.9" x 9.6"/9.6"
S3-4: 23.0" x 16.9" x 34.8"
Between Shelves: 19.7" x 16.9" x 8.9"/8.9"/9.6"
S3-5: 23.0" x 16.9" x 40.7"
Between Shelves: 19.7" x 16.9" x 8.0"/8.0"/8.0"/8.0"